I don't want to sell it but we had some changes in life and this is the first thing that needs to go. It comes with a 5 year warranty that transfers with the boat. 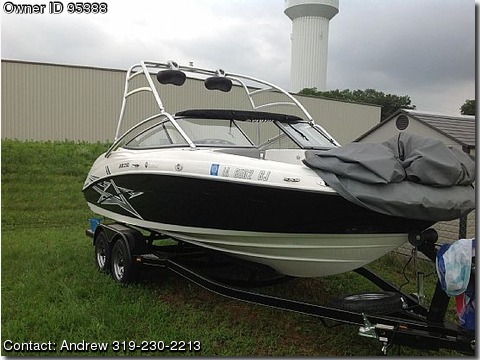 Also comes with life jackets, and the standard cover along with the Bimini Cover and the BOSE speakers and amp located in the boat, AM/FM/CD Sattelite, carpet, depthfinder, full gauges, SS prop, storage, battery. Also, the nice drop fins that allow you to steer the boat when not running the drives.